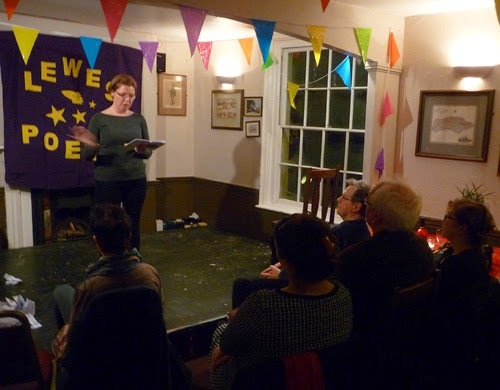 The Seventh Birthday celebrations at Lewes Poetry went very well. Our promotional efforts paid off. The upstairs room at the Lewes Arms was almost full. The atmosphere was great, and everyone appeared to really enjoy the evening. I guess the club has evolved a fair amount since 2008. I recall the first night was not a huge artistic success. I rambled on too much as compere and the headline act, although competent, proved a liability after the show, making himself a nuisance with any apparently single women in the bar (they all had too much sense to fall for his long-haired charms). In subsequent months and years, there were great nights - and some lacklustre ones. But the club's raison etre of bringing together performance poets with the so-called page poets has never changed. Neither has its slightly anarchic, comedic feel, which harks back to my eight-and-a-half year running London's wildest comedy club, Joe's Comedy Madhouse. In recent years, the club reached a lowpoint in November 2011, when there were so few poets and audience members that one of the performers filled out the running order with famous figures from past and present: Dostoevsky, Fiona Shaw, Joni Mitchell, Lord Byron, Ted Hughes, Sylvia Plath, Johnny Rotten, Van Morrison, Madonna, Dame Edna Everage, Winston Churchill. Ten readers performed at the Seventh Birthday Show last Thursday (29 January 2015). 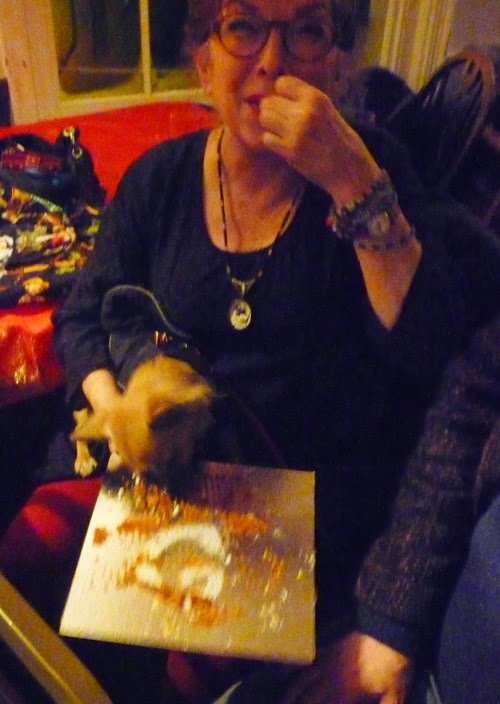 Among them were Kit Hardy (pictured at the top of this posting with her little dog who loved the birthday cake), Colin Bell (aka Wolfie Wolfgang, pictured above) and Robin Houghton (pictured left), now an accomplished published poet who read for the first time at the club. Over the years, we have shed a few page poets. Two in particular did not like the humorous side of the club or find it an appropriate stage for their Roman epic or elegiac couplet-inspired work. Which is fine. Poetry readers can be pretty starchy affairs and that suits some people down to the ground. 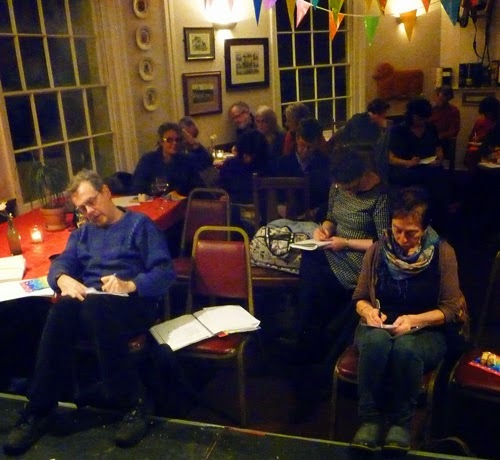 But whether the muse is Ovid or John Cooper Clarke or someone completely unknown, all receive a kindly and supportive hearing at Lewes Poetry. One thing that has always surprised me is how seriously the audience takes the limerick contest. I even dropped the contest at one point, at the request of the earnest poets, but reintroduced by popular demand after they stopped coming. Although the prize is deliberately hardly worth winning, a hush descends during the interval as almost the entire audience puts their minds to limerick creation. This year I am planning another five gigs, all on Thursday nights: 19 March, 21 May (when Rachel Pantechnicon is headlining), 23 July, 24 September and 22 October. 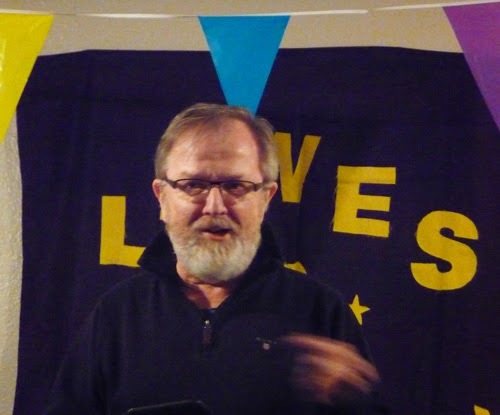 It was a great night, thanks Ollie for organising Lewes Poetry, I'll never forget my first nervous reading there! (Although I have forgotten what I read - no doubt it was pretty forgettable). I'm a bit annoyed I haven't won the limerick comp lately though. Can you fix it for me please? Ta.